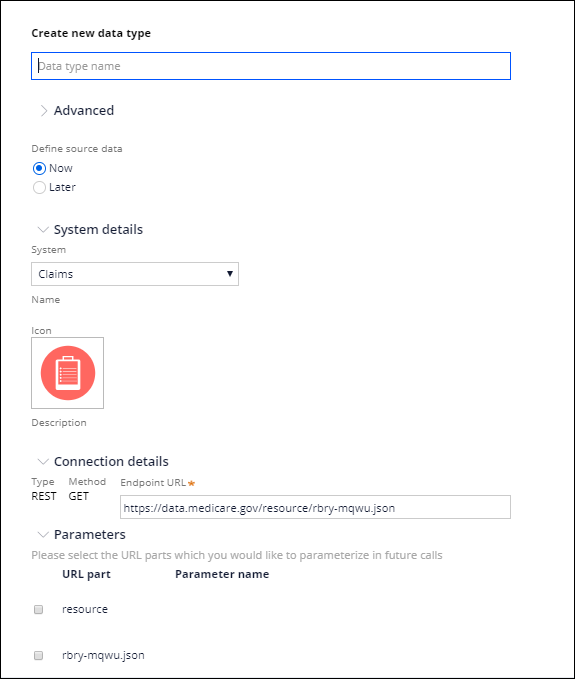 From the Integration Designer you can create a data type that uses a REST connection, data views for the data type, and optionally connect the data type to a system of record. Define the source now or later. Select the system of record or create one by selecting Create new. Enter your endpoint URL and specify which parts are parameters for future calls. Add request headers and authentication, when necessary. For more information, see Adding a data type by using a REST connection.